Shrimp is the most widely consumed seafood in the U.S. Yet for American consumers, responsibly produced shrimp is difficult to find. 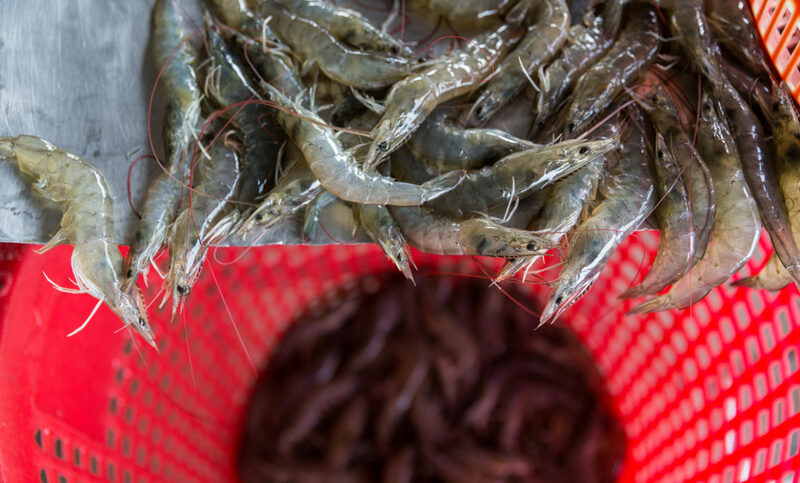 That’s why news from India is noteworthy: One of India’s largest producers of farmed shrimp and a top exporter to the U.S., Falcon Marine has announced that, by 2020, all of its shrimp will be certified by the Aquaculture Stewardship Council (ASC). India accounted for about 32 percent of America’s farmed shrimp imports in 2017, making it the number one source of farmed shrimp in the U.S.
As you may have noticed we recently made improvements the seafoodsustainability.org website. The redesigned site improves navigation helping visitors keep up to date on important issues in the industry. The site features information on progress being made on WWF led Fishery Improvement Projects (FIPS) and Aquaculture Improvement Projects (AIPS). The website also includes a new Industry section where information can be found on certification standards, fisheries and farms in transition, and traceability. We hope you find the news blog interesting as we continue to cover key seafood sustainability topics and provide opportunities for you to get involved.